I've been playing with 2-factor authentication a lot lately, either commercially / within the enterprise with RSA SecurID, or at home, with a variety of services, such as Google Authenticator, Symantec VIP and most recently, Duo Security. RSA SecurID is a bit of a pain to set up, but it does seem to work well in the enterprise. It's too expensive to consider for home use, but for a VPN, it's pretty good. That said, there are other options available. 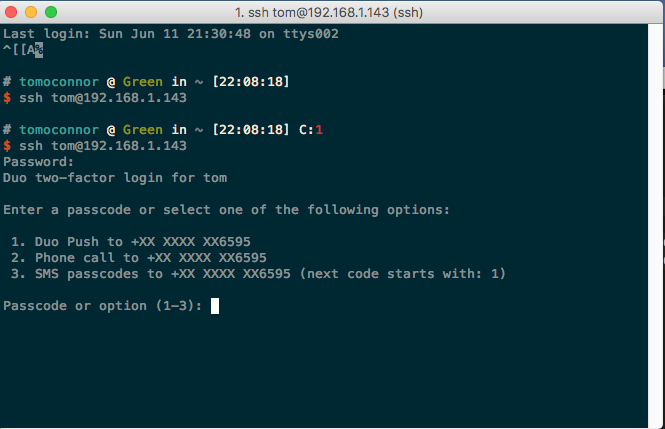 I was chatting recently with someone who's got an internet-accessible Raspberry Pi, and I suggested that 2-Factor Authentication would be a sweet way to add another layer of security, so I thought I'd have a go at Duo for SSH (it's basically a PAM module you compile and install). I was playing with it on Ubuntu 16.04 Desktop on a VM, but it'll probably work on a Raspberry Pi - I'll try it when I get a chance. This is all I had to do to get it working. It's nice to find a product that actually has *working* documentation. Visit: https://duo.com/docs/duounix and follow the instructions. On Ubuntu, the module gets installed into /lib64/security, so you have to give the full path when you reconfigure pam.d/common-auth. 3) Enjoy 2-factor Authentication for Linux. In interactive SSH sessions, I see something like this when i log in. In desktop sessions, this is what I get. It's that simple. 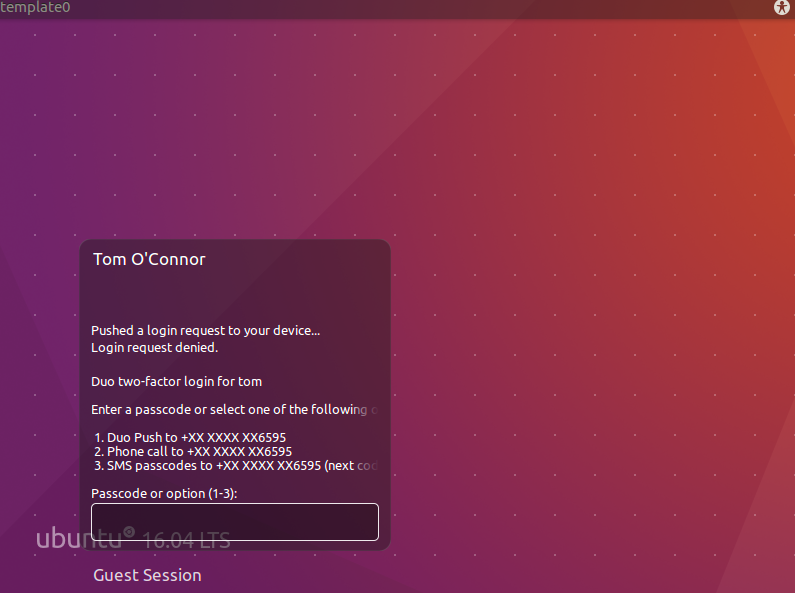 Now there's no excuse not to enable 2 Factor Authentication on your Linux workstations / servers.